H.E. 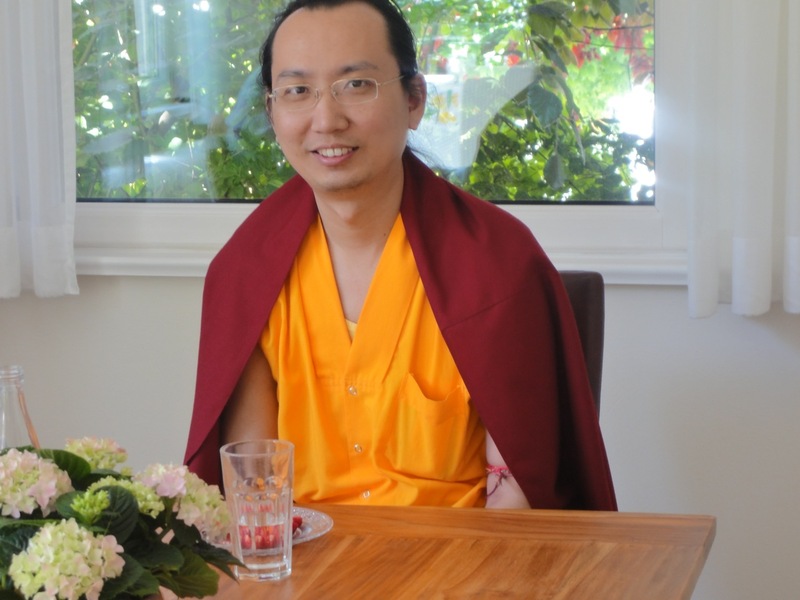 Ratna Vajra Rinpoche visited Sakya Dechen Ling in Stuttgart for several days last week accompanied by two monks: Lama Gendün and Dorje Phuntsok. Lama Jampa Thaye also accompanied His Eminence for the duration of the visit and discussed many dharma issues with His Eminence. In the evening on 18 May His Eminence gave an inspiring teaching on the Madhyamaka. The following day His Eminence bestowed the initiation of Amitabha to the Sakya Dechen Ling sangha. His Eminence departed the following morning to continue his tour of Europe that will take him to Hungary, Spain, Italy and France, and also to England in August where he will visit our centres Sakya Thinley Rinchen Ling in Bristol and Sakya Dechen Ling in London. Prior to teaching in Stuttgart, His Eminence spent several days in Frankfurt with H.H. Sakya Trizin, H.E. Gyana Vajra Rinpoche and his mother, Gyalyum Chenmo. His Holiness and entourage subsequently left for New York where His Holiness will commence an extensive teaching tour of the Americas. Lama Jampa had the opportunity to spend some time with His Holiness at Frankfurt airport prior to His Holiness' departure.